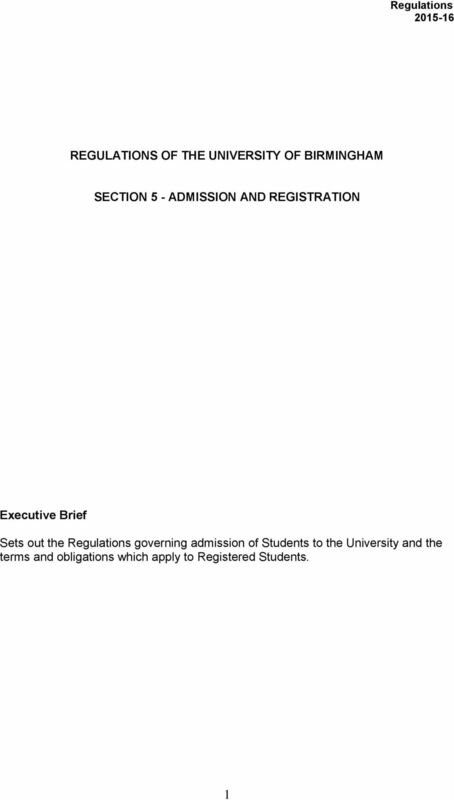 Download "REGULATIONS OF THE UNIVERSITY OF BIRMINGHAM SECTION 5 - ADMISSION AND REGISTRATION"
8 specified Regulation and 5.2.6). 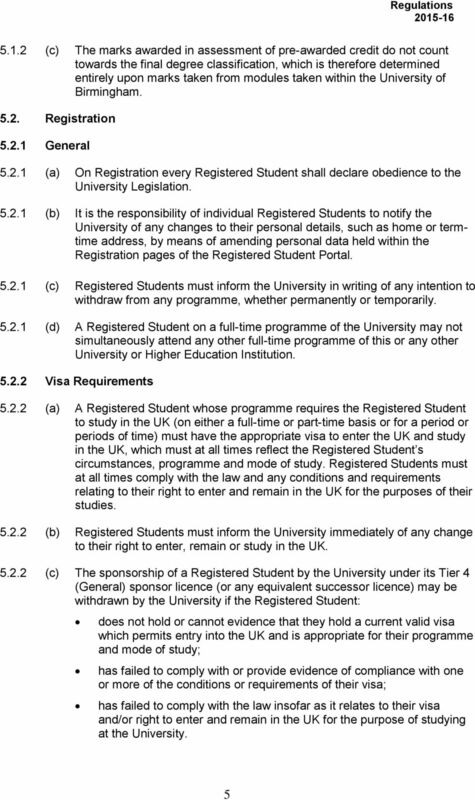 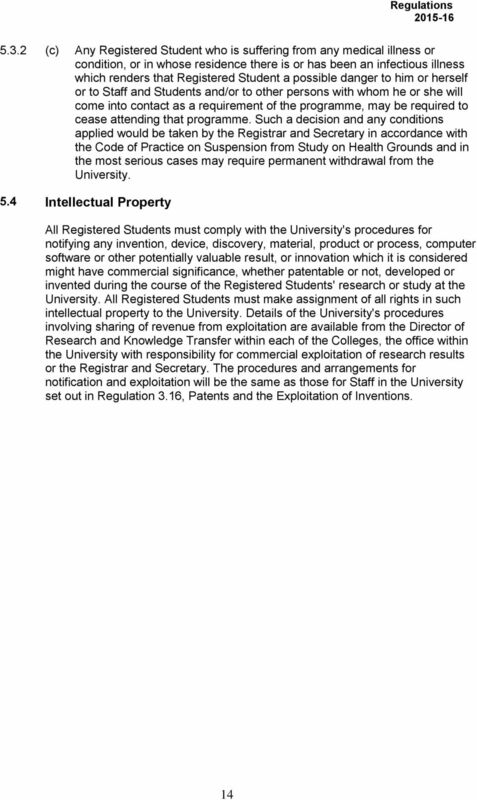 8 Regulations (c) Normally Registered Students are entitled to supervision and research training, and access to computing, laboratory or other University facilities. 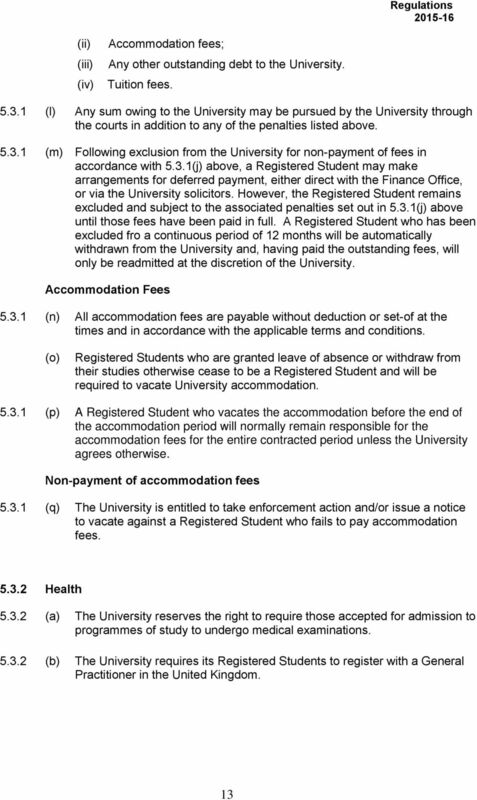 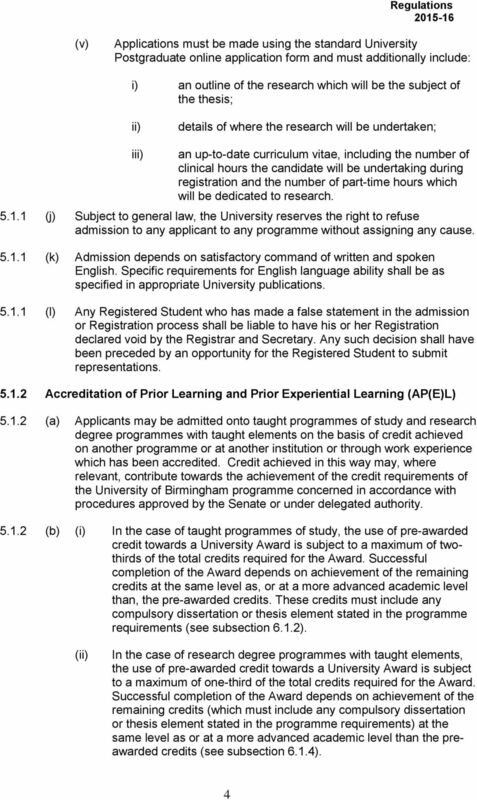 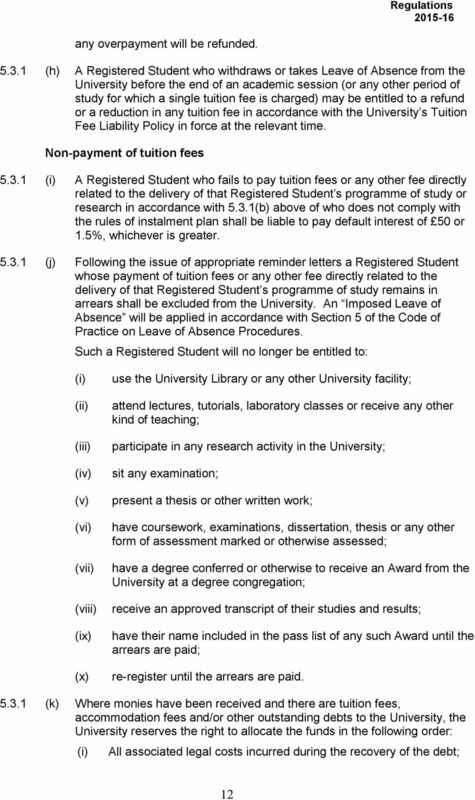 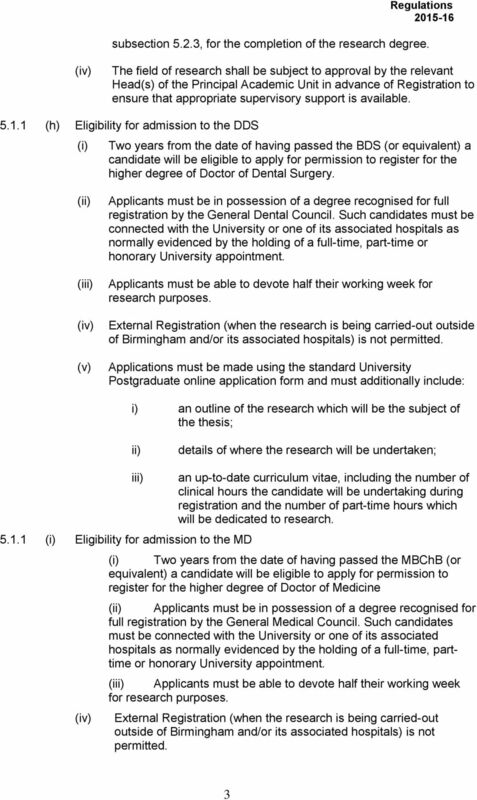 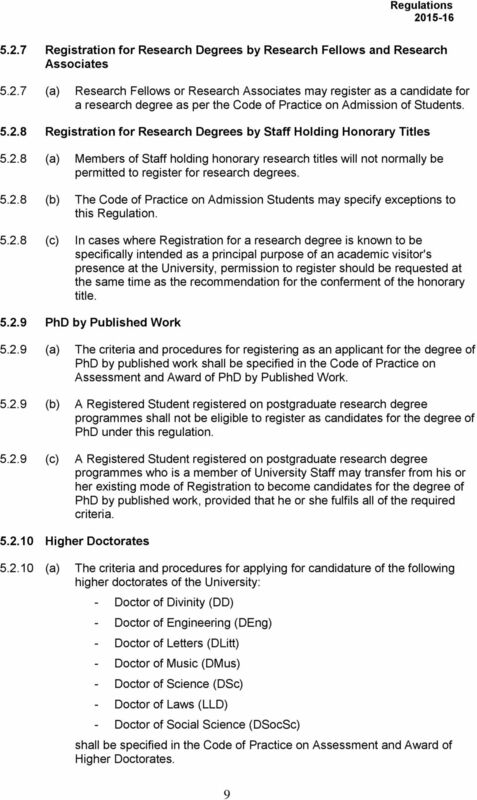 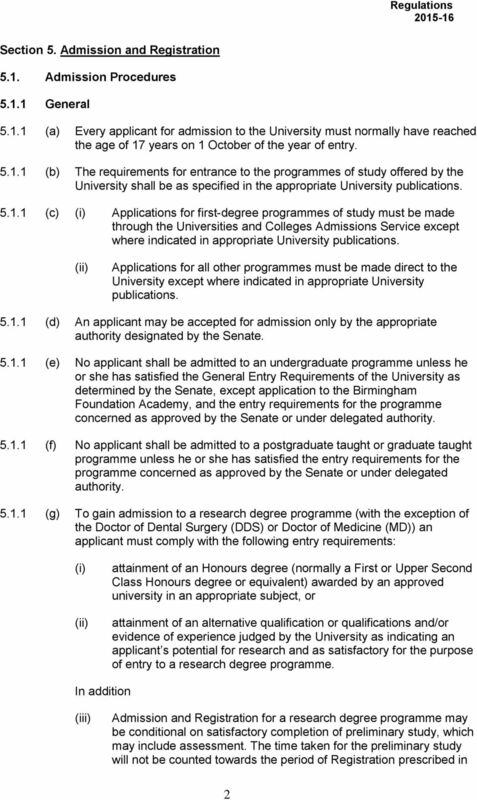 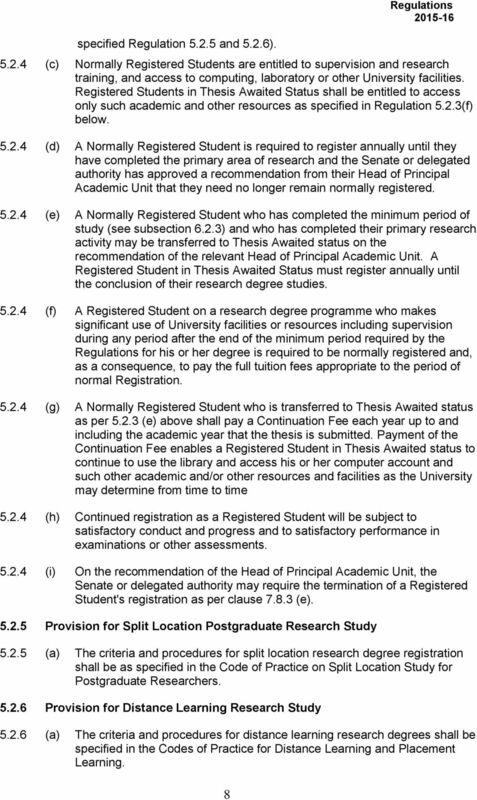 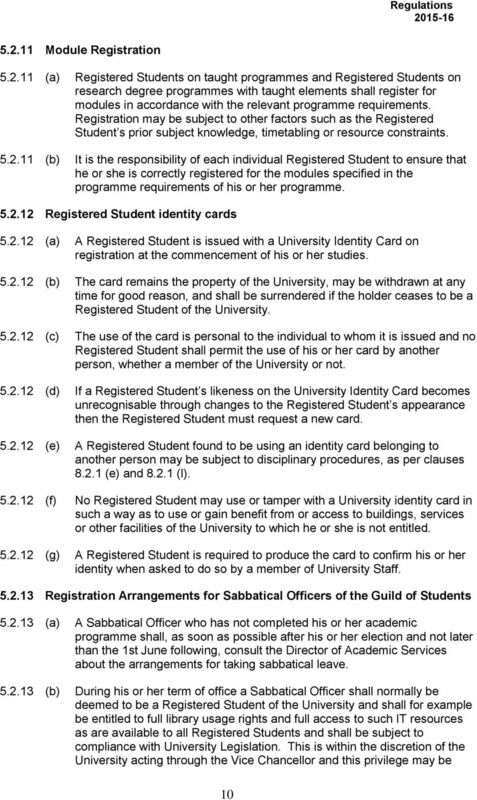 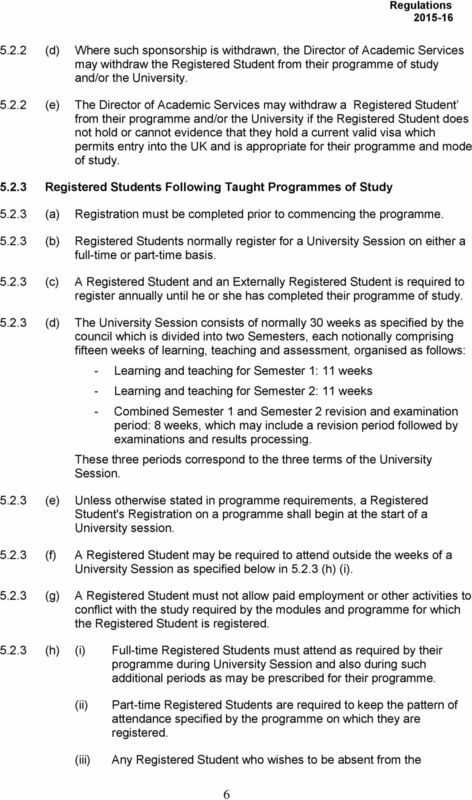 Registered Students in Thesis Awaited Status shall be entitled to access only such academic and other resources as specified in Regulation 5.2.3(f) below (d) A Normally Registered Student is required to register annually until they have completed the primary area of research and the Senate or delegated authority has approved a recommendation from their Head of Principal Academic Unit that they need no longer remain normally registered (e) A Normally Registered Student who has completed the minimum period of study (see subsection 6.2.3) and who has completed their primary research activity may be transferred to Thesis Awaited status on the recommendation of the relevant Head of Principal Academic Unit. 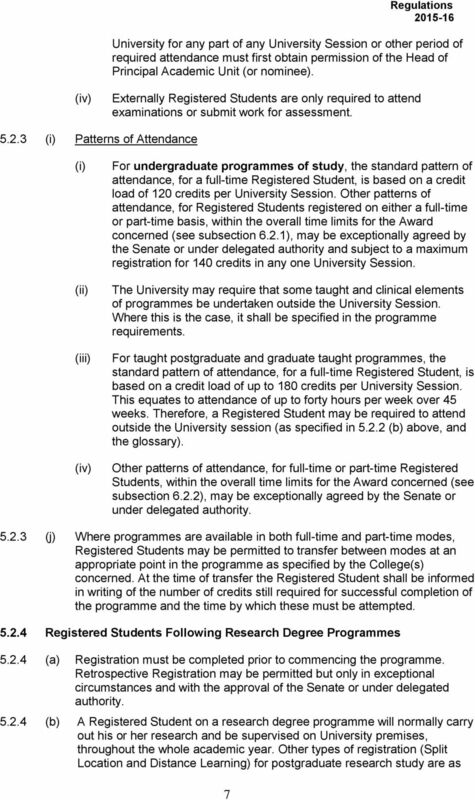 A Registered Student in Thesis Awaited Status must register annually until the conclusion of their research degree studies (f) A Registered Student on a research degree programme who makes significant use of University facilities or resources including supervision during any period after the end of the minimum period required by the Regulations for his or her degree is required to be normally registered and, as a consequence, to pay the full tuition fees appropriate to the period of normal Registration (g) A Normally Registered Student who is transferred to Thesis Awaited status as per (e) above shall pay a Continuation Fee each year up to and including the academic year that the thesis is submitted. 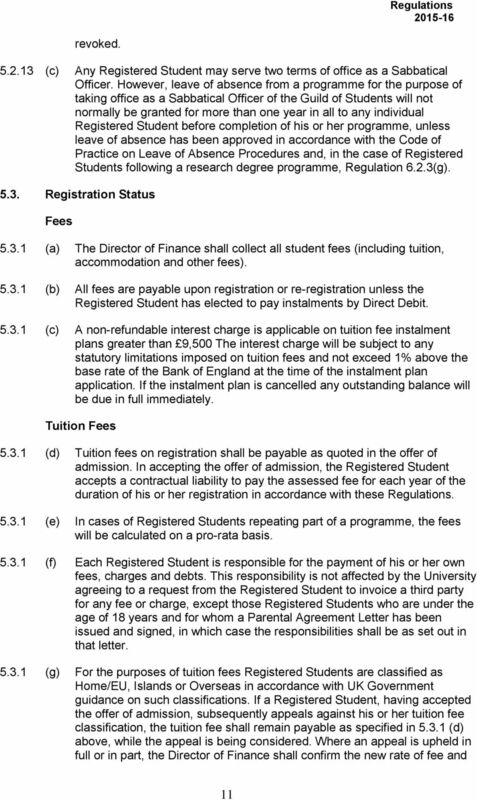 Payment of the Continuation Fee enables a Registered Student in Thesis Awaited status to continue to use the library and access his or her computer account and such other academic and/or other resources and facilities as the University may determine from time to time (h) Continued registration as a Registered Student will be subject to satisfactory conduct and progress and to satisfactory performance in examinations or other assessments (i) On the recommendation of the Head of Principal Academic Unit, the Senate or delegated authority may require the termination of a Registered Student's registration as per clause (e) Provision for Split Location Postgraduate Research Study (a) The criteria and procedures for split location research degree registration shall be as specified in the Code of Practice on Split Location Study for Postgraduate Researchers Provision for Distance Learning Research Study (a) The criteria and procedures for distance learning research degrees shall be specified in the Codes of Practice for Distance Learning and Placement Learning.